Traders who just want a simple method to lock in their profits or reduce their losses can use this cTrader cBot (robot) that will make sure that your profit and loss targets are managed correctly. 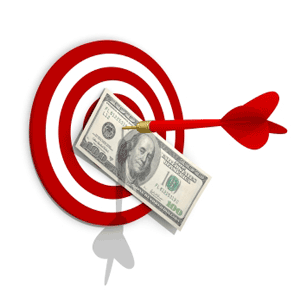 How Does The Net Profit Target Work? If you wish to close all open positions when all your open positions winners and losers net profit reaches a predetermined value then choose this option, an example would be that you include this feature in the robot and set the net profit target to £100.00 when your winners and losers added together is equal to or greater then £100.00, then all open positions buy or sell will close. 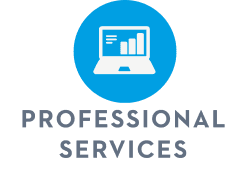 How Does The Account Equity Profit Target Work? If you wish to close all open positions when your account equity reaches a predetermined value then choose this option, an example would be that you set the equity target to £1000.00 when your open positions push your net equity to £1000.00, then all open positions buy or sell will close. How Does The Account Equity Loss Target Work? Choose this option to limit your account equity loss, an example would be that your balance is £1000.00 and your equity is £900.00 and you still have positions open that could lose you even more money. If you were to close your positions now your balance would be £900.00 and you would have lost £100.00. This feature will allow you to limit your losses while you are away from your trading station. How Does The Time Target Work? 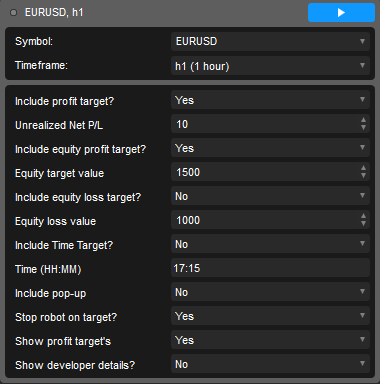 This option will allow you to close all open positions regardless of whether you are winning or losing at a set time, an example is that you start this robot at 8:00 am and set the time target for 17:30 pm when the target is reached all your open positions will close. What Is The Pop-Up Message? This will simply display a pop-up message window telling you which target has been reached, this helps you if you are currently at your trade station and not aware of your current profit and loss account details. What Does Stop Robot On Target Do? Use this option if you want to stop this robot from monitoring your targets as soon as any one of them is activated.